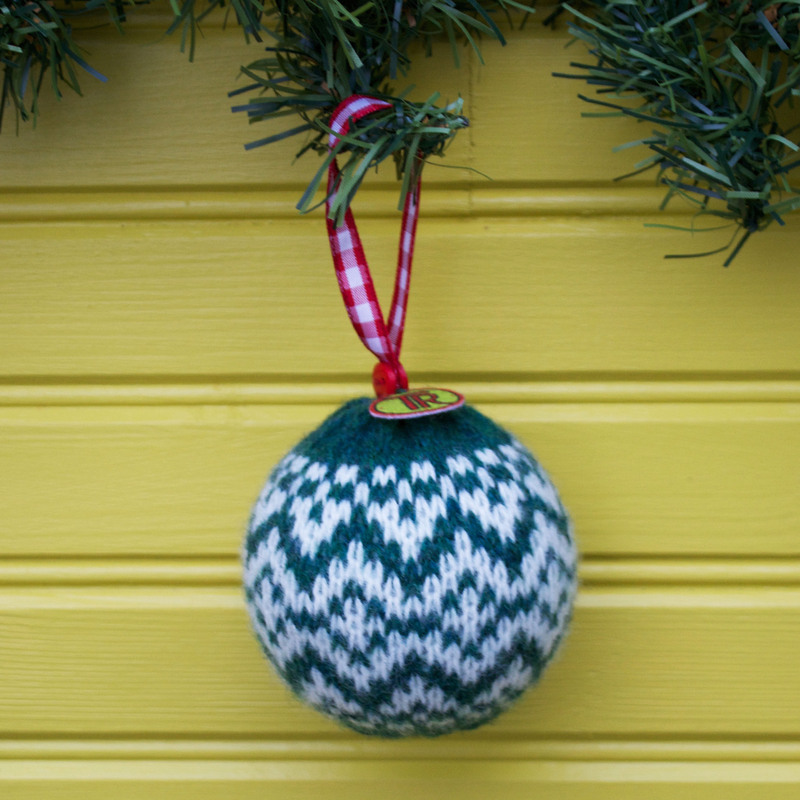 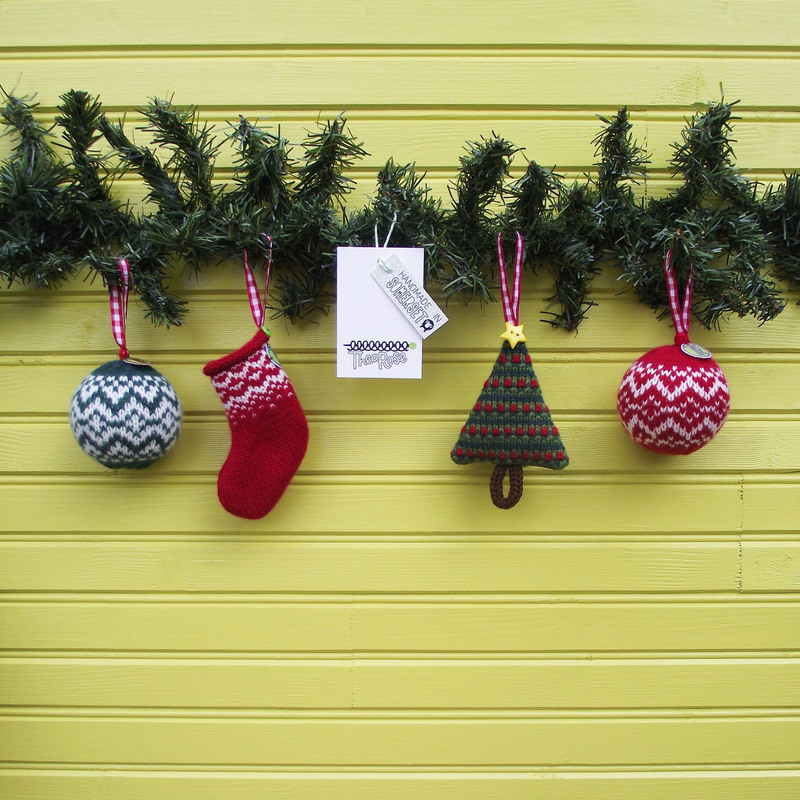 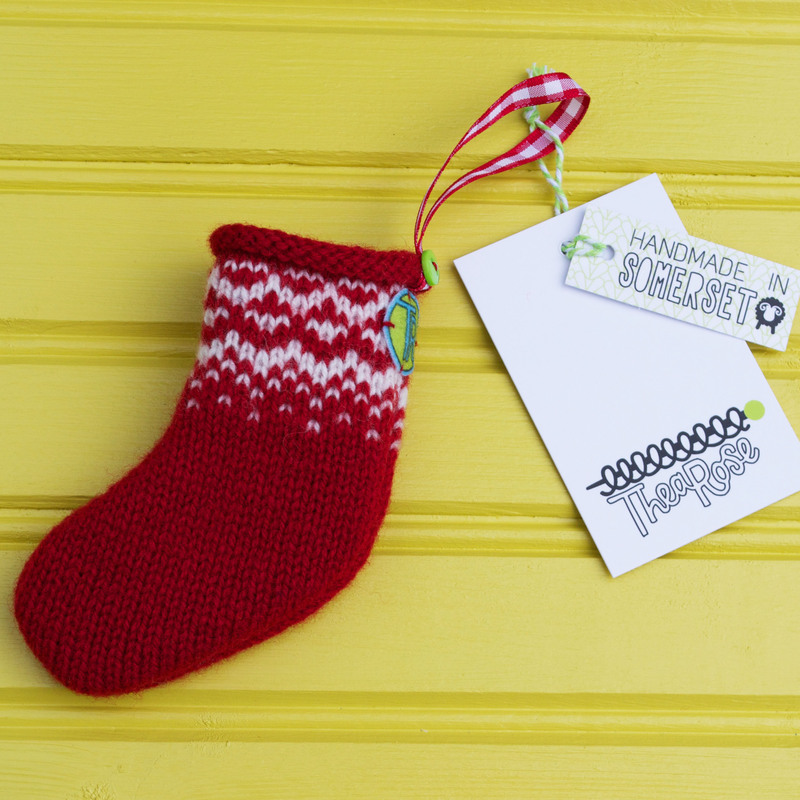 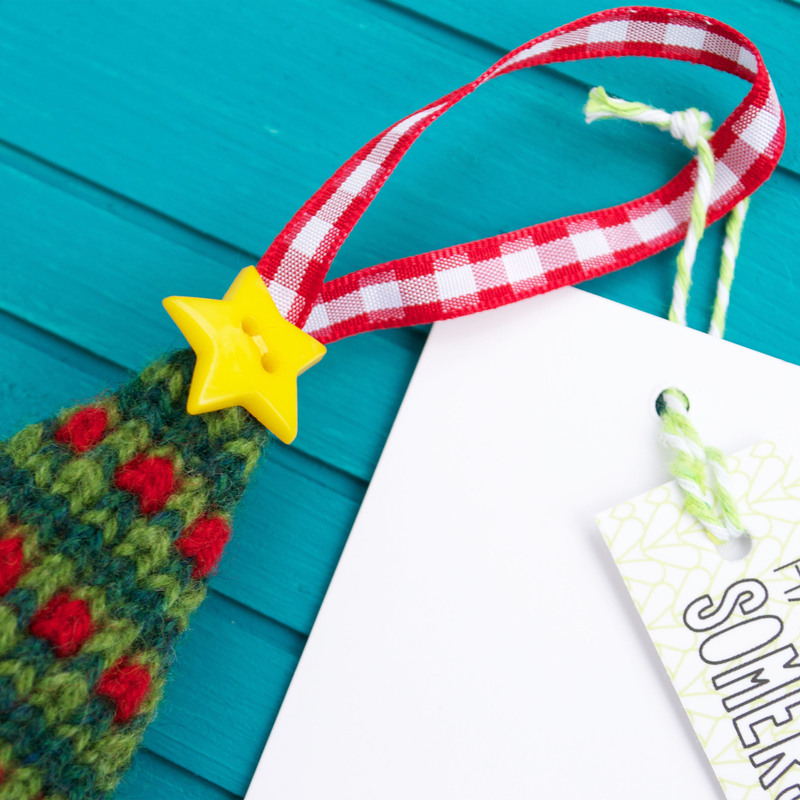 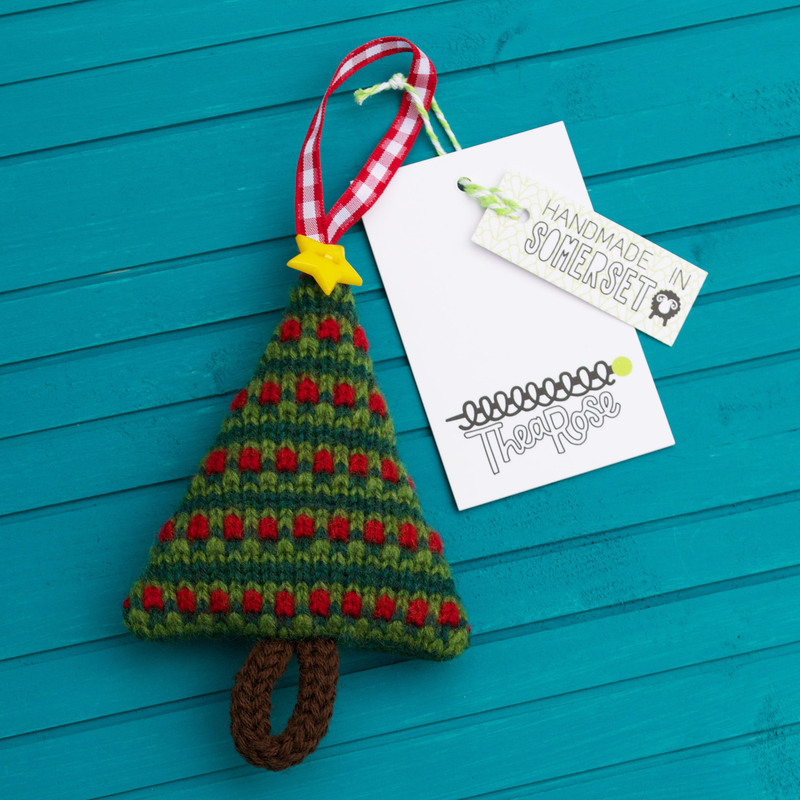 Decorate your tree with a little knitted tree! 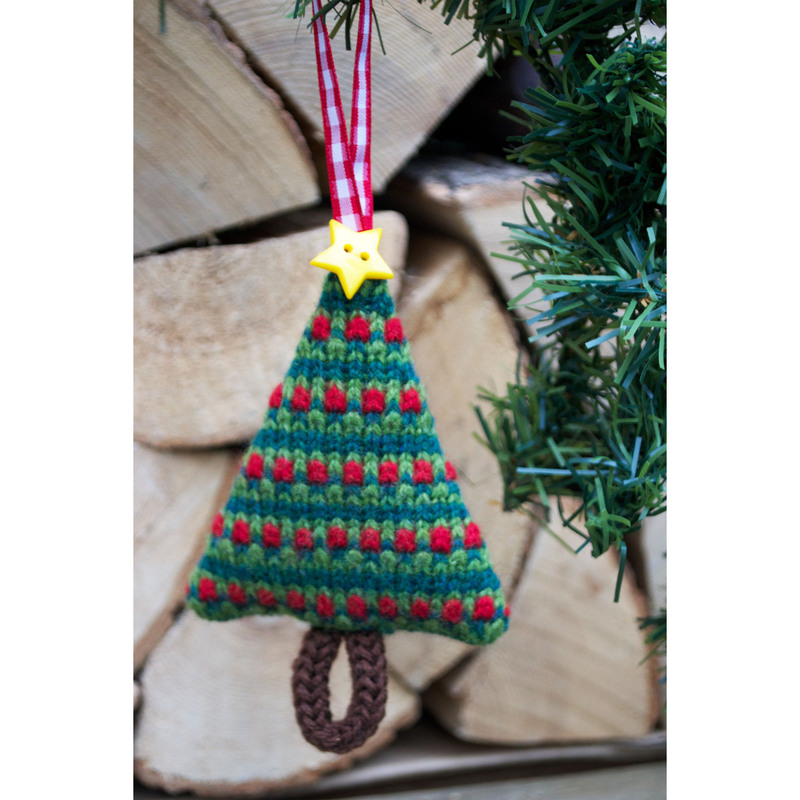 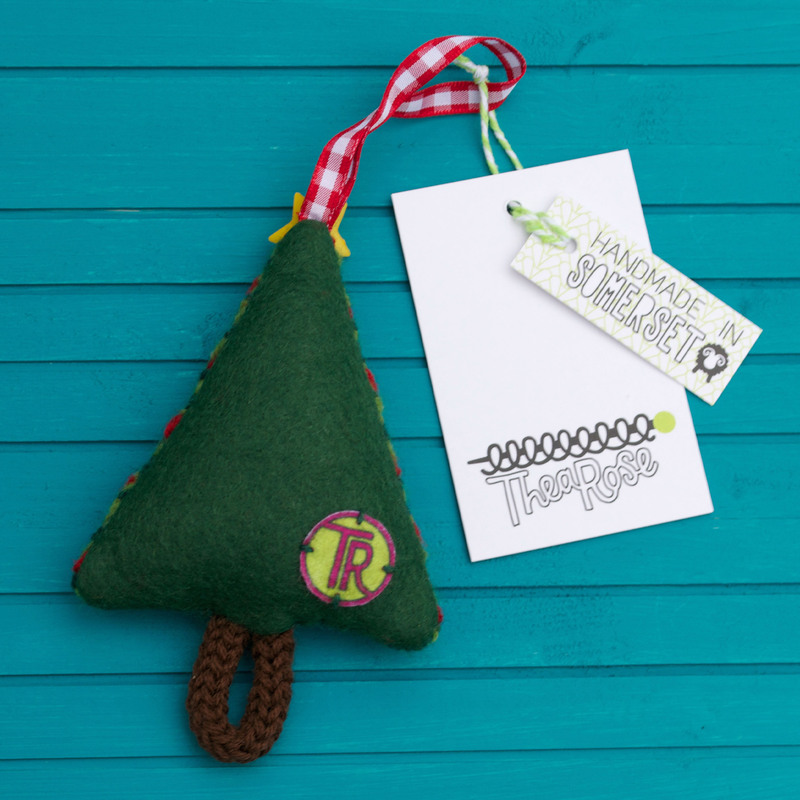 The knitted Christmas tree has a felt back and is filled with stuffing, making it ideal as a tree decoration as it is lightweight. 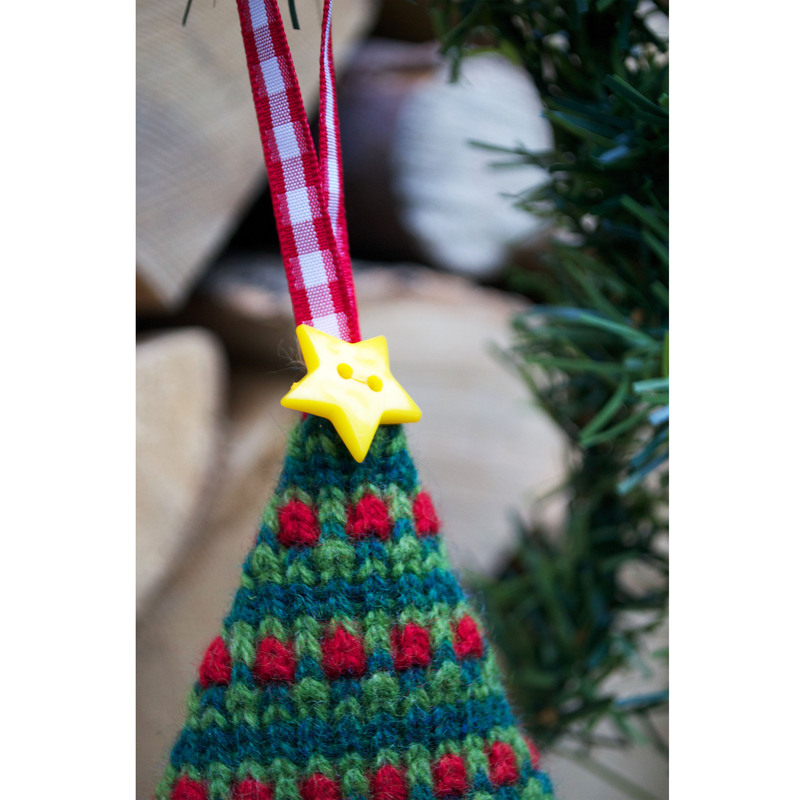 Finished with a little knitted trunk, star button and a gingham loop.